This is in the context of coming from a D500 (and a number of DX DSLRs prior to that), and is based only on the first hour or so of using it. No XQD card included in the U.S.A. This is disappointing, since it appears that every other country on the planet is getting XQD cards included in theirs, to a value of ~$150USD, so it feels a little mean that the U.S.A. is getting screwed. Especially since by all accounts U.S. shipments of the Z7 were delayed by nearly a week compared to most of the rest of the world. It also seems like simply a bad idea on Nikon’s behalf – very few people will have an XQD card already (luckily I have one and only one, from my D500), so Nikon’s running a real risk that a lot of people will open their new shiny only to realise that there’s no memory card they can use in it, and acquiring one is going to be hard (local retailers don’t seem to stock them consistently) and very expensive (XQD cards are currently selling at all-time high prices, despite there being more brands selling them than ever, and more demand than ever, and commodity NAND flash being at its lowest price in a long time… grrr). Autofocus really struggles in “low light” (e.g. a well-lit restaurant at night), where the D500 would have no problems at all, using the kit 24-70/4 lens. In fact at first I thought the camera was faulty, because I could not for the life of me get it to take a photo, of anything. Eventually I realised it was defaulting, out of the factory, to Focus-priority, and once I switched to Release-priority it started working. But focus was missed most of the time, usually significantly (e.g. headshots had no part of the head in focus most of the time; at best the ears). This was true irrespective of focus mode. In fairness, the D500 is over-confident in its autofocusing abilities – in similar conditions it would also miss focus in many shots, despite claiming it had quickly acquired focus. Note also that “Low Light AF” makes no apparent difference, neither in autofocus speed, ability, nor accuracy. It’s a very small camera. It has some density to it, so it doesn’t necessarily feel cheap or plastic, but ergonomically it’s not great. The D500 is a much better camera ergonomically (as is the D850, being a very similar design). The Z7 in principle has an interesting advantage which is the ability to do everything through the viewfinder, but the camera is so small and squished that having your face up against it, to look through the viewfinder, makes it very difficult to use any of the buttons or the D-pad. It’s doable, but it’s awkward and I won’t be making a habit of it. The D500 / D850 / etc are actually much more usable when your eye is at the viewfinder, control-wise. Button placement is a bit weird. The D500 / D850 / etc have a superior layout – and more buttons. My thumb rests over the ‘Disp’ button by default, not the AF-ON where it should, because the camera is so squished that the ‘Disp’ button – relative to the hand grip & other buttons – is basically where AF-ON is on the D500 / D850 / etc. I hope I’ll get used to it, but it is definitely more awkward to hold the Z7 with your hand on its AF-ON button, because your entire hand and fingers are all relatively far to the right edge of the camera, putting a lot more torque on your grip in order to hold the camera flat. The function buttons on the lens are actually an improvement over the equivalents on Nikon’s DSLRs – they naturally rest under two of my fingers, more or less, making them easier to use. The mount diameter is way bigger than the old F-mount. Not that it’s intellectually a surprise, but upon first seeing it in person I was irrationally gleeful. Image quality vs the D500 in low light appears mixed… even by the most optimistic objective measures the D850 (and by extension Z7) are only about 2/3rds of a stop better than the D500 at ISOs 100 and above (the ISO 64 base does push the advantage to one full stop in principle, vs the D500 at ISO 100). However, given the recent, disappointing revelations from DPReview on the nasty banding exhibited by the Z7, my fear is that the D500 will actually turn out to have better image quality in many situations (i.e. anything with significant dynamic range). This is obviously very disappointing for a very expensive, top-of-the-line, brand new camera with an FX vs DX sensor size advantage. Contrary to some reporting, and some of Nikon’s own misleading product material, 100fps & 120fps 1080p video is only available from a ~DX crop region. Focus peaking is very difficult to actually get to work. It took me nearly an hour to figure out how – it only appears if (a) you have AF-ON held down, (b) you move the manual focus ring on the lens a significant distance in order to engage MF override, and (c) you have a lot of light and contrast in the scene. In low light, or scenes with low contrast, it simply doesn’t show any peaking, even on the most sensitive setting, and provides no indication why. This is all very unfortunate, as competing focus peaking systems in every other mirrorless camera I’ve ever used all perform much more reliably, easily, and consistently than the Z7’s system does. e.g. the Sony a7R II’s focus peaking was excellent in practice for ensuring correct focus, whereas my tests so far with the Z7, when it bothers to work at all, have shown that it’s not accurate nor clean enough for me to actually get correct focus most of the time. It’s much faster & more reliable to just engage image zoom and focus without peaking. Also, peaking doesn’t work when zoomed in. The focus ring on the 24-70/4 is awkwardly placed – it’s way too close to the camera body, which is very thin to begin with, so it feels like you’re picking your nose when you operate it. Even with a light lens like the 24-70/4, holding the lens by the focus ring makes the entire thing very front-heavy. The focus ring is also very thin, making it a bit difficult to find and get a good hold on. Being able to zoom in, in the viewfinder, is awesome. I’ve used this previously on other mirrorless systems and know from that experience that it’ll be immensely valuable in getting focus correct. It also works pretty intuitively – e.g. it zooms in on the selected focus point, naturally – and can be assigned to most (but bizarrely not all) the configurable buttons for easy toggling. I miss the Nikon rubber eye-cup add-on I applied to my D500. The Z7’s naked viewfinder, while slightly rubbery, is very hard in comparison, and – being – rectangular & flat – doesn’t fit any human face I’ve ever encountered. No different from most cameras, of course – I just hope Nikon release an equivalent eye-cup for the Z7 soon (though I worry, from looking at the viewfinder assembly, that there’s no apparent way to pull it apart, attach anything to it, etc). On first use the battery jammed in the battery slot, requiring some shaking and application of fingernails to force it out. Very weird – I’ve never encountered this in many years & many Nikon cameras. It hasn’t done it since… yet. The box it comes in is surprisingly large given it’s a small camera & lens. Much bigger than the equivalent box for the D500, or any of Nikon’s consumer DSLRs. The fully electronic (“silent”) shutter is very nice. The D500 is a 5 AM garbage truck in comparison – it has always bothered me using the D500 in any even remotely quiet environment. Viewfinder blackout is so-so. While I’d seen videos on YouTube demonstrating it in various modes etc, in practice I find it’s much more difficult than I expected to track moving subjects when shooting at anything approaching the maximum frame rate (8 FPS). 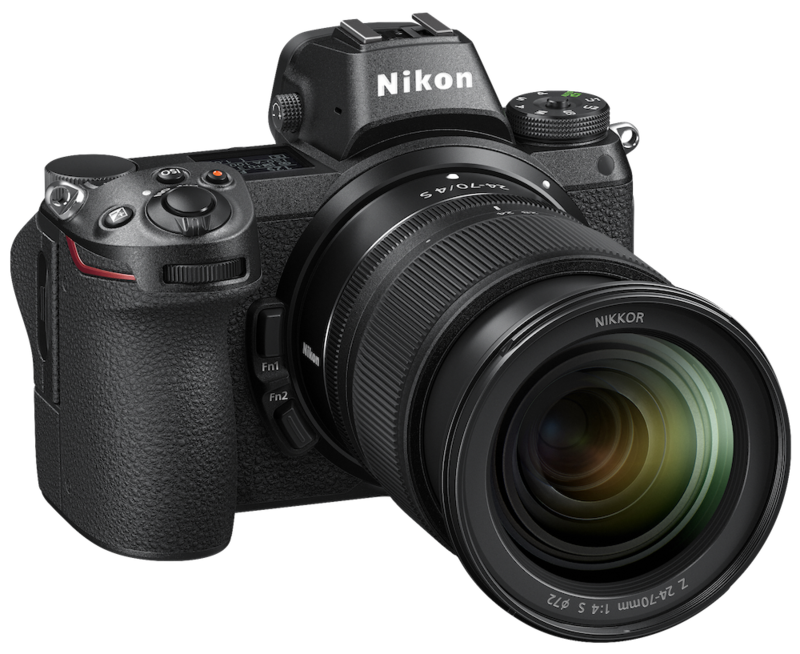 The D500, despite having significant black-out itself vs the D5, is notably superior than the Z7. SnapBridge is stupidly hard to get to work – mainly in the initial pairing. It took me multiple tries and about an hour overall to get it to finally pair to my iPhone. It requires an extremely precise, pedantic, and rather long sequence of steps in order to get it to pair, and some of those steps are not documented by Nikon. I vaguely recall it being similarly bad with the D500 when I first got it – thankfully it’s a process that only needs doing once per camera body, in principle.